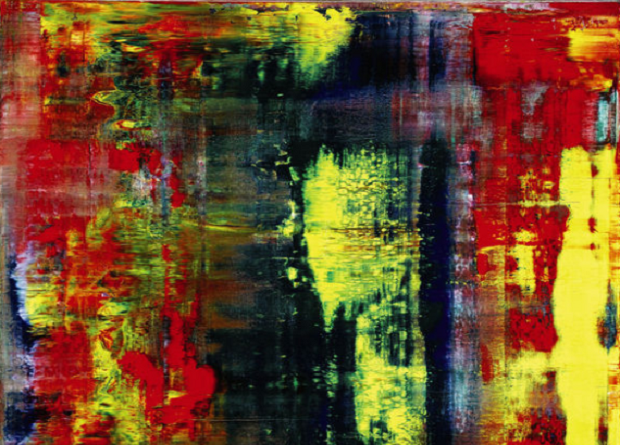 This painting, Abstract Painting (809-4), is the creation of German visual artist Gerhard Richter. Just a few days ago, it was sold at Sotheby’s auction house for $34.2 million dollars. That is not a typo: $34.2 million dollars. What makes Richter’s paintings so high in value? Richter is one of the most important living artists of the 20th and 21st century. He is known for his abstract and photorealistic paintings as wells as photography and sculpture. He shattered the idea that artists could only succeed in one medium. He experimented with photo-painting, blurring, screen print, photography, and pencil drawings. His exploration of all the forms of art is what makes him prolific. He isn’t afraid to step out of the box and hone his craft in different areas, which is why his works are so coveted. More of his pieces can be found here. I saw his exhibition in Berlin last year, his paintings face-to-face and up close as it were, are incredible.. And I have never seen such queues to get into a gallery!